4k00:27Green wheat stalks blow in the wind. 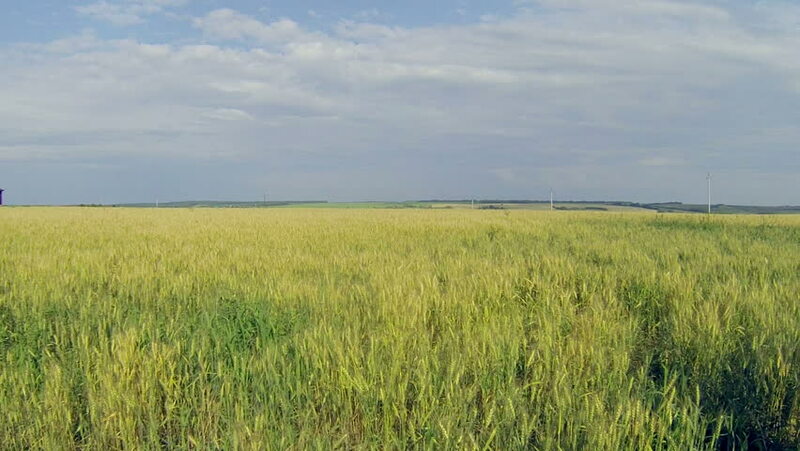 Natural Wheat field. Bueutiful nature wheat field with clouds in sunny day. hd00:16Aerial Overflight of a yellow wheat field with blue sea on horizont. hd00:22Aerial Overflight of a yellow wheat field with blue sea on horizont. hd00:26Drone flying low over a grass field and going high at the end revealing the view of the whole area. hd00:17Wheat crop growing in a farmland field.